It's time to take a break from all the trip posts and talk about other fun things. For one, I'm going to feature more posts on what you can do to improve your photo shooting game so your pics quickly go from basic to fab on whatever camera you have on hand, be it an iPhone or DSLR. Today's post is a list of gear and accessories you want to have when first starting out. The rundown is that you just need a DSLR with a kit lens and BOOM you're good to go. But realistically, if you want to keep the value of your camera and lenses for at least a few years before an upgrade or for extra money, you'll need a few more things on hand. So if you want to step it up a notch in photo taking, here are my recommendations and tips for you to become successful. When you first buy a camera, you might automatically think you'll be taking magazine quality photos right away. And then when you realize you aren't, and you become frustrated with the overexposure of the sky, the unintentional blur when your kid had the perfect smile, the ugly yellow lighting from the lamp, you might think, "I need a better camera" or "I need a better lens". No! Upgrading isn't going to solve your problems when you don't understand how to fix them yet or how better equipment will better your photos on a technical level. 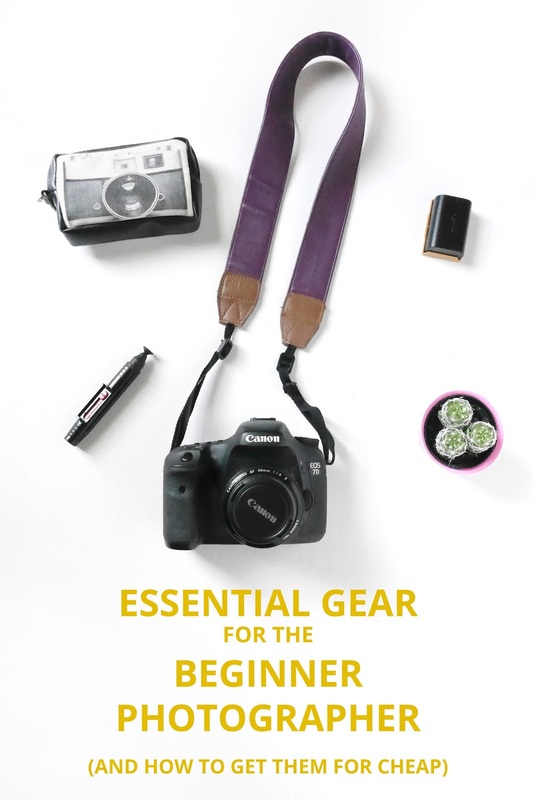 Start with the basics and master it first, starting with the camera and lens. The three most important factors that determines your camera's performance are the lens (more on this next), digital image processor, and image sensor. When choosing cameras, don't get hung up over the number of megapixels or if it has WiFi capabilities. Instead, base your choice on the version of the processor and sensor. Consider buying either the latest or one of the most recent for quick response, accurate and vibrant colors, faster image processing when shooting, improved noise reduction, better frame rate, and more. Canon's image processors are called DIGIC (Digital Imaging Integrated Circuit) with the latest version in for their DSLR's being the DIGIC 6. I've just always used Canon, both with compact cameras and DSLR, so that's what I can speak about in terms of its capabilities. The Canon Rebel T6i uses the latest processor, has WiFi capabilities, swivel LCD screen, shoots at 24.2MP and 5fps and is easy to use overall. This is a great entry-level camera to use, especially if you want to send the photos to your computer or phone right away for upload to social media or you want to venture into making videos or vlogging for YouTube, the WiFi and swivel screen, respectively, will come in handy. 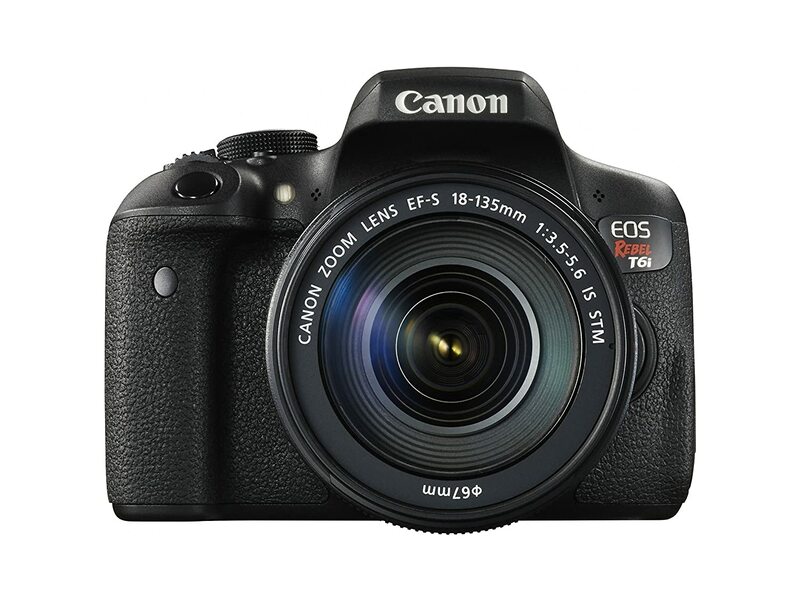 If you're looking for something of the same capabilities and quality but a little more budget friendly, the Canon Rebel T5i is a great alternative with minor differences, such as DIGIC 5 Image Processor and 18MP capabilities instead. TIP: When you have settled between a few cameras, go in stores to try them out. You might find that the one you had your heart set on doesn't feel as comfortable as another one, or the buttons' and dials' placements are cumbersome and too complicated. In terms of what camera model and make you choose, what will make the difference between a good and great photo will ultimately come down to your familiarity of the cameras' capabilities and knowing what camera settings to use for the best photo. So don't get too hung up over the tech specs. Choose one that fits your budget and go shoot! Practice, practice, practice. More important then the camera body is the lens. The great thing about camera gear is that you get what you pay for. Therefore, with kit lenses being the most affordable and versatile, it won't deliver as high quality of photos as a more expensive lens, but it's the best way to start out when you just want to experiment or you're just starting out. It's a great way to learn about composition, post-process editing, and the exposure triangle (ISO, apeture, and shutter speed), too. Buying a better lens means better quality photos, but without understanding the basics first, your photos won't be able to convey the story you want them to tell. Once you figure out what type of photography you enjoy the most, you can then upgrade to the appropriate lenses that will up your game. 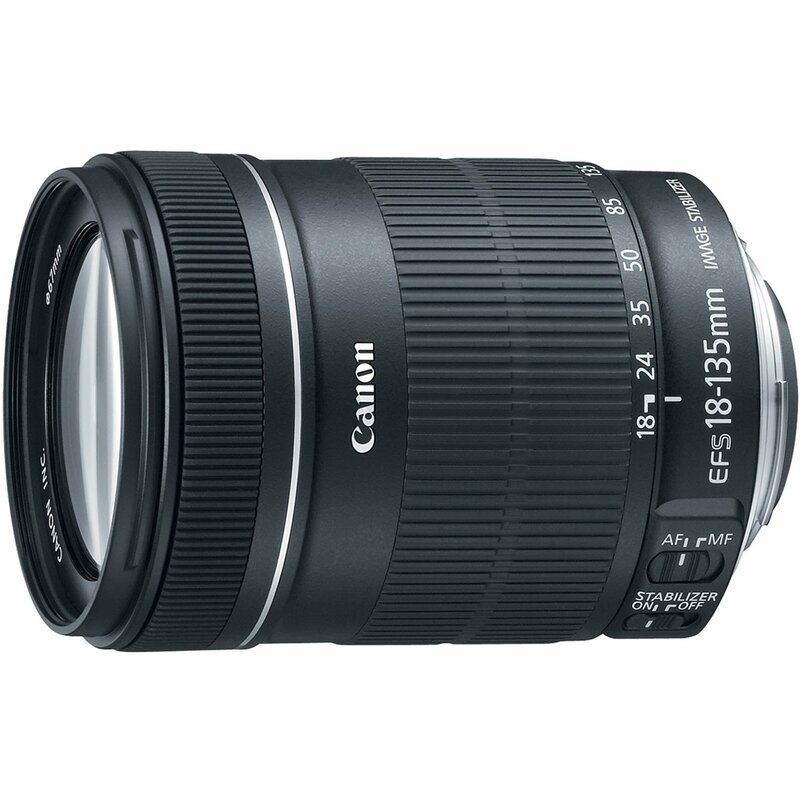 With Canon kit lenses, since I'm most familiar with this brand and their gear lineup, there are the 18-55mm f/3.5-5.6, 18-135mm f/3.5-5.6, and 18-200mm f/3.5-5.6. Their performance are all about the same with the major, and obvious, difference being the zoom length. Therefore, go with whichever fits your budget. The 18-135mm lens or the 18-200mm lens would be better if you want to experiment with composition from far away distances and want to reduce the space in your camera bag with carrying an extra lens. The kit lenses with a longer reach are versatile enough for macro, food, landscape, portrait, still life, and sport photography. I also suggest buying a 50mm f/1.8 lens to go along with your kit lens. This is a prime lens, meaning that you "zoom" with your feet instead of adjusting the zoom on the lens itself. BUT with the f-stop lower than that of a kit lens, the lens opens up more and you get a smaller depth of field, thus enabling your subject to be sharp in focus with the background blurred and gaining that beautiful "bokeh" effect. It's excellent for portraits, low light/night time, and action photography and is one of the best performing lenses that you can get for your money (under $120). Coupled with the kit lens gives you the capability of experimenting with your camera and different styles as you first start out. Probably the most overlooked important accessory that should be on every lens is the UV filter. As its name describes, it filters out the UV rays that might cause haziness in your photos from sunlight, but more importantly, it protects the front end of your lens from moisture, dust, dirt, scratches, and smudges. In general, it acts like a bumper for your lens. It doesn't affect the quality or color of your photos but when it comes time to sell your lens, just remove it and you're good to go! No need to worry about a decrease in lens value just because there is a smudge or speck you can't remove from the front glass. I've even had this one time when a lens slipped out of my hands and landed front end first on cement. With no lens cap on, I expected the glass to be smashed and destroyed. Instead, it happened to hit the ground at an angle so only the filter was damaged and the lens still worked perfectly fine. I even forgot I had a filter on! It only costs at most $15, so please, for the sake of protecting your precious lens, buy a UV filter! 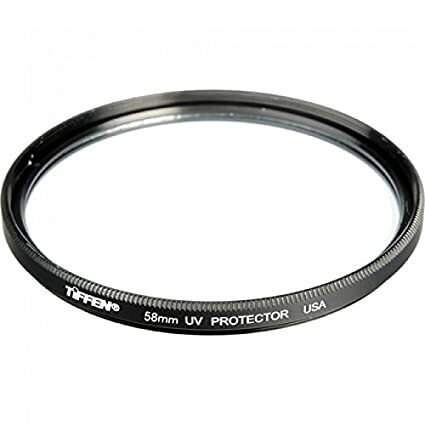 To know what size filter you need, look for the inner diameter symbol, ⌀, on the front end of the lens. The number following this symbol is the size that you need. For example, ⌀77 means you need a 77mm filter. Keep a spare battery on hand as a backup to avoid the dead battery dilemma in the middle of shooting. You can opt for either a standard battery pack or a battery grip. The latter is the equivalent of two battery packs and that type of grip is more comfortable if you're often shooting portraits with the camera turned vertically, but has the downside of being pricier and taking up more space and weight than a regular battery. There are a variety of camera bags, backpacks, bag inserts, and cases on the market, all with one purpose: to protect your equipment. Make sure the one you choose can fit your camera with you main lens attached, another lens, and pockets for your accessories at the minimum. I prefer using a backpack for better weight distribution on my shoulders (although the backpacks I use aren't geared towards photography...more on what's in my bag and why I don't use a camera bag in a later post). A camera insert is a great and budget friendly alternative if you already have a large bag laying around and want protection for your gear. Now what good is it to have a great lens, only for photos to come out hazy because you couldn't completely clean off the accidental smudge with your t-shirt? 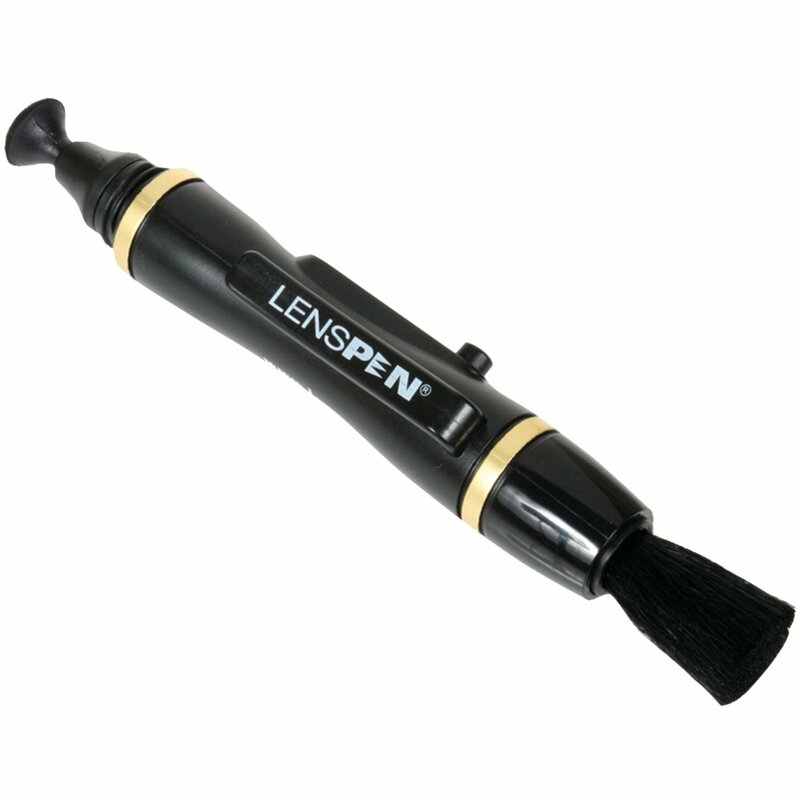 Smudges and dust are inevitable, no matter how careful you are, so I included a lens cleaning pen to this list. One end is a microfiber tip end and the other is a retractable brush. This covers just about every situation you encounter that needs a quick clean. Although I have other accessories to clean my lenses with, I reach for this one the most because of its dual function and small size. Amazon and eBay - Both sites sell a huge variety of photography accessories as well as the camera body only, camera body with a kit lens, and a bundle that usually include most of and more than what I included above. The bundle can be your best bet when you're starting out, but they usually include a lot more extra than what you really need. A way to cut down on costs is to make your own bundle and buy everything separately on those sites. If the price sounds too good to be true and is considerably lower than what Amazon or B&H sells it for, chances are it's a scam, so watch out for those too. Buy refurbished - Camera manufacturers have a refurbished page where you can buy a second-hand, near perfect condition DSLR for much cheaper than what it actually costs. Some even come with a 1 year warranty, so if time is not a factor, wait for the model that you want to pop up on the refurbished page. Buy on Black Friday or Cyber Monday - If you live in the US, you know two of the best days of the year to get deeply discounted electronics is on these two days after Thanksgiving. In fact, that's when I bought my current camera because it was much more affordable that way. Rent It - If you're unsure about dropping a lot of money on equipment, whether it be lighting, tripods, drones, cameras, or lenses, consider renting it. There are a few sites that do this, including Lens Rentals, Borrow Lenses, and Camera Lens Rentals. This is a great option if you don't have a camera store nearby to try something out. For example, the MSRP for the Canon 10-22mm f/3.5-4.5 is $650. But on Lens Rentals, you can rent it for $32 for 2 days. What's not to love about that! What are your essentials? What else should be included in this list? Let me know in the comments below! You go to a city, visit the famous monument, museum, building, statue, then make your way around to eat the good local food, then peace out and head to the next destination. Whatever happened to taken the off beaten path and checking out how the locals live? An immersive trip where you see what goes on for the residences of the city rather than just seeing and eating the few famous things. Sure, it might be sound boring, but if it's a place you've never been to, especially a new country or city, why not venture out and see? It's a different style of living from yours and between places, no matter where you are (besides American suburbia), and you never know what you might learn when you take that new path. 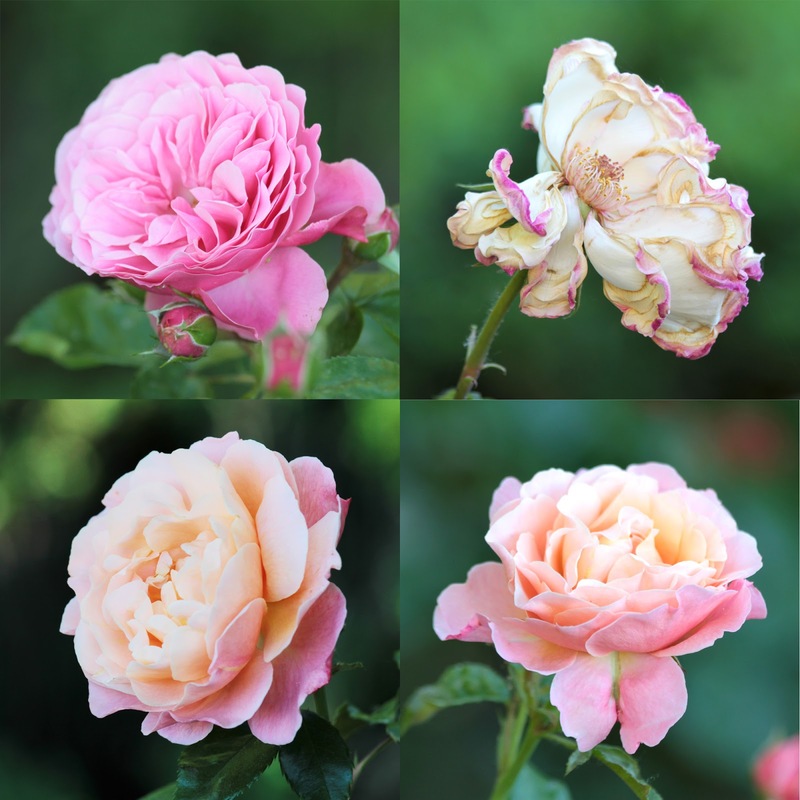 Take a look at the photos, read my blurbs, and you'll know what I mean. See those oranges on the tree? There are many of these random orange trees around the city, bringing more color and surprises when you walk around. And doesn't the outdoor setup of tables and shade look so inviting? Unlike in the US where there are only a few restaurants in cities that can or want to do that (probably restricted due to sidewalk real estate), this isn't just a one restaurant or bar thing - it's at every few that you pass by. Having traveled to several countries in Europe, both major and small cities and towns, I've seen that it's quite common. I know the European culture is to take the time to enjoy the food. The French, for example, are known to have two, sometimes three, hour lunch breaks! It's relaxing and inviting to be outside rather than trapped on the inside by walls. 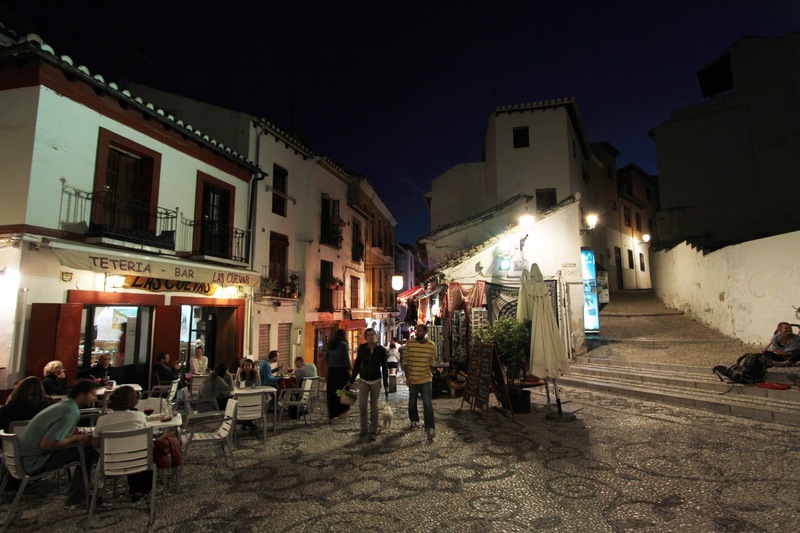 Just one of the many tapa bars and restaurants around the city. In the US, it's only a few places in cities that put their seating outside, probably due to sidewalk real estate. 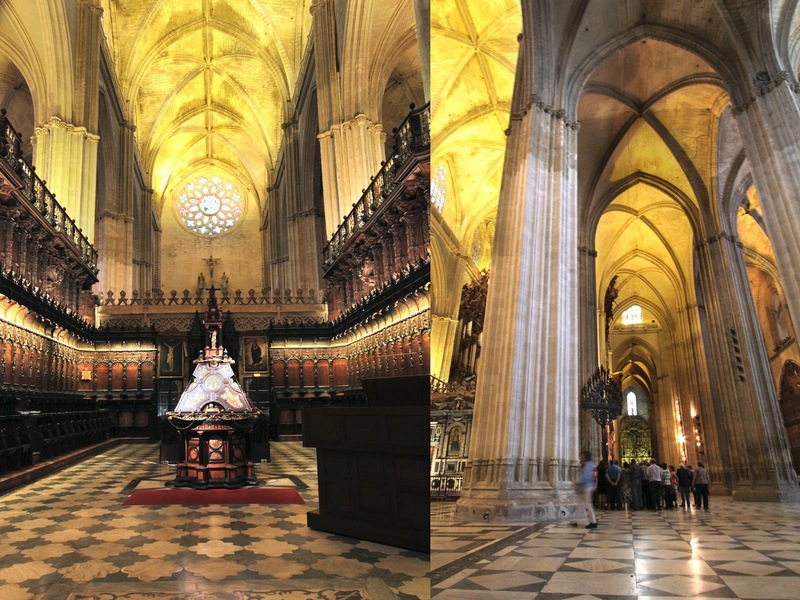 But here, other cities and towns and Spain, and all around Europe, this option is common and photogenic all the time. ...and here is why. At one of the residences, there was a barred opening that served as a window, allowing passerby's to peer inside. It's actually a number of apartments all situated in one building that face each other in a U formation and share a courtyard. 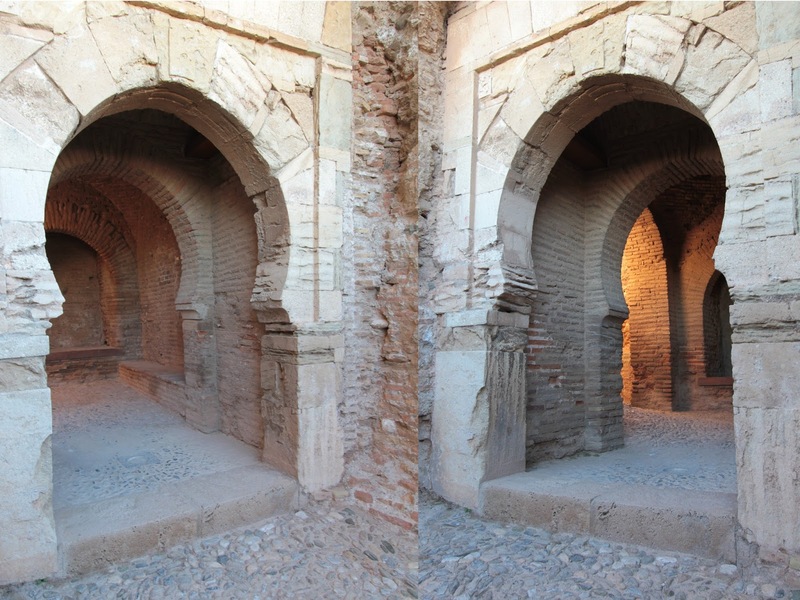 If you look closely at the photo on the left, you can see the outline of a door. That's the size of a typical person, meaning that the rest of the door is fit for a baby giant. Only the small door can be used. 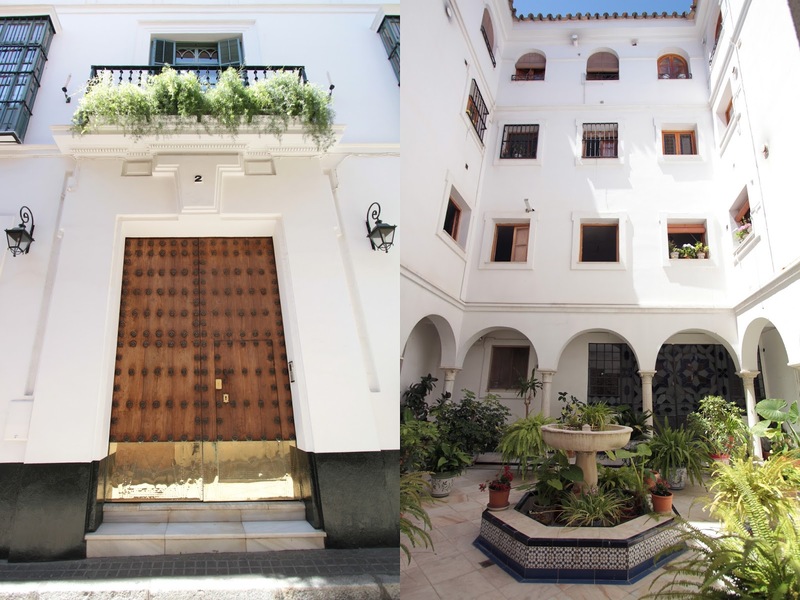 I don't know why residence entrances in Spain are built like that, maybe it's to keep in proportion with the rest of the building, but it sure gives them a unique twist to it's architectural style. Casa de Pilatos. The House of Pilatos. It's a 16th century palace that built by Pontius Pilato from Jerusalem and is currently the residence of the Dukes of Medinaceli. 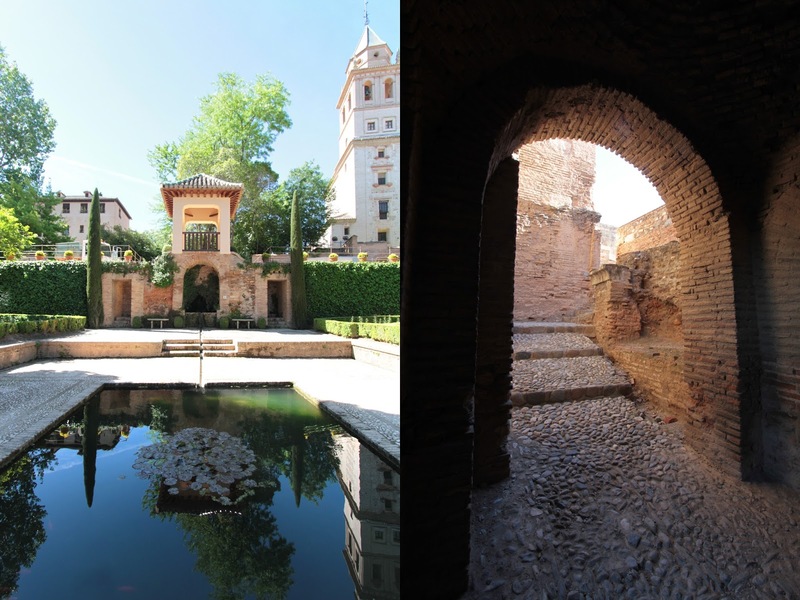 Beautiful courtyard and garden, and very elaborate rooms in the mixed style of Mudéjar, Renaissance, and Gothic. Incredibly beautiful huh. The photo right above is what you see when you walk up the staircase - the hallway, covered from floor to ceiling in beautiful, patterned tiled. The bit of the ceiling you see is also over the stairs, all in a decorative, honeycomb type of ceiling style of interlaced beams called artesonados, which I noticed was common in many historical homes and palaces throughout the South. 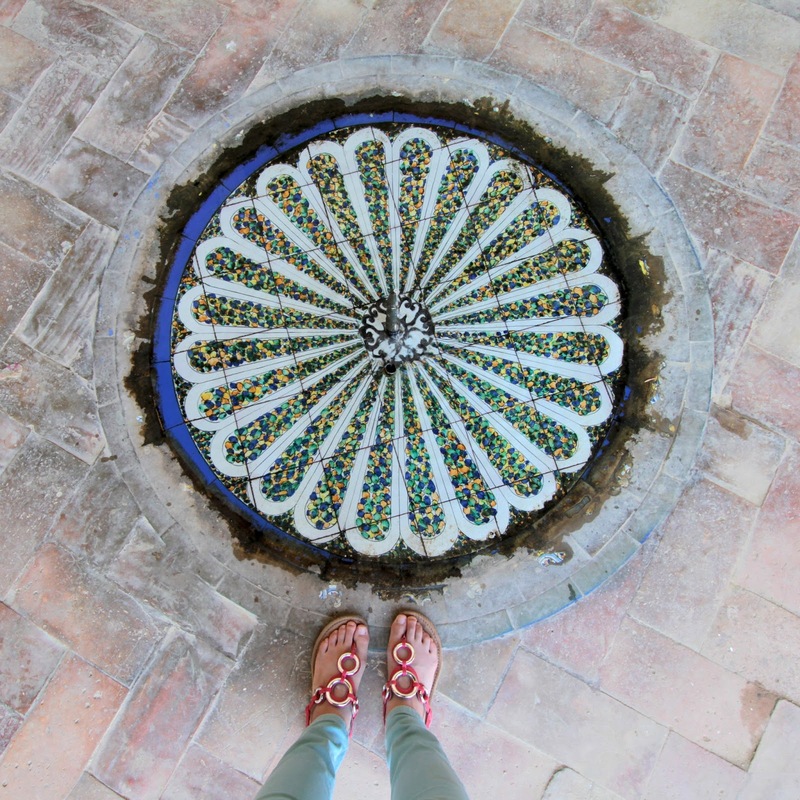 I can see why Pilatos wanted to decorate and build the inside using ceramic and cement - it's a refreshing escape from the southern heat. 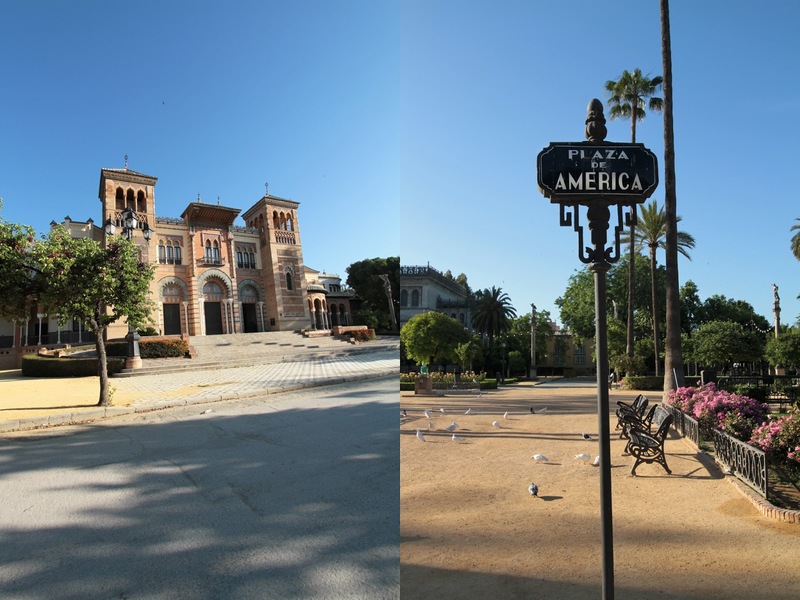 Nothing says "home" until it's comfortable, and with the patience in building such a grand palace, Pilatos got his comfort here in Seville. Hopefully, through this little walk on the off beaten path, you've learned something new you might not find in the guide books and travel websites. Go explore!